Organizational factors Consider what departments or organization units will have a role in the project, the interactions between and among departments, organizational culture, and the level of formality among these working relationships. Existing human resources and marketplace conditions The existing base of human resources that are employed, or available to, the organization should be considered when developing the human resource plan. Marketplace conditions will dictate the availability of resources you're acquiring outside the organization and their going rate. Personnel policies Make certain you have an understanding of the personnel policies in the organization regarding hiring, firing, and tasking employees. Other considerations include holiday schedules, leave time policies, and so on. Technical factors Consider the types of specialized skills needed to complete the work of the project (for example, programming languages, engineering skills, knowledge of pharmaceuticals) and any technical considerations during handoff from phase to phase or from project completion to production. Interpersonal factors Interpersonal factors have to do with potential project team members. You should consider their experience, skills, current reporting relationships, cultural considerations, and perceptions regarding their levels of trust and respect for co-workers and superiors. Location and logistics Consider where the project team is physically located and whether they are all located together or at separate facilities (or cities or countries). Political factors Political factors involve your stakeholders. Consider the amount of influence the stakeholders have, their interactions and influence with each other, and the power they can exert over the project. ■ Establish open communications early in the project. 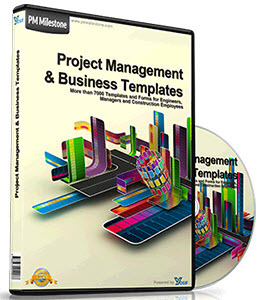 ■ Include all the functional managers with key roles in important decisions. 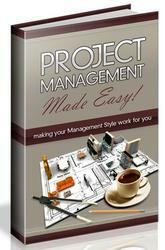 ■ Get the support of your project sponsor to empower you (as the project manager) with as much authority as possible. It's important that the sponsor makes it clear to the other managers that their cooperation on project activities is expected. Collective bargaining agreements Collective bargaining agreements are actually contractual obligations of the organization to the employees. Collective bargaining is typically associated with unions and organized employee associations. Other organized employee associations or groups might require specialized reporting relationships as well—especially if they involve contractual obligations. You will not likely be involved in the negotiations of collective bargaining agreements, but if you have an opportunity to voice opinions regarding employee duties or agreements that would be helpful to your project or future projects, by all means take it. Economic conditions These conditions refer to the availability of funds for the project team to perform training, hire staff, and travel. If funds are severely limited and your project requires frequent trips to other locations, you have an economic constraint on your hands.